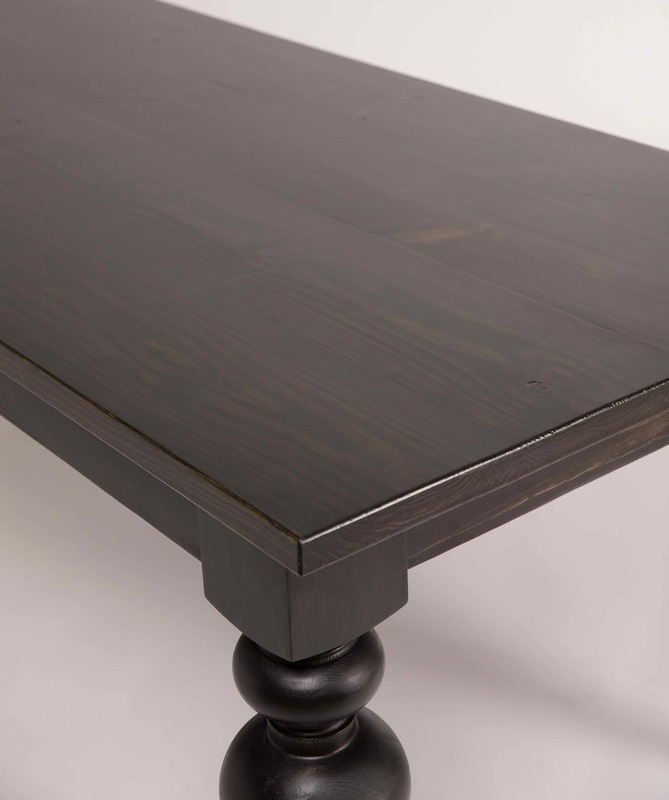 At James+James, we offer two different ways your table top can be custom built: Traditional and Jointed. 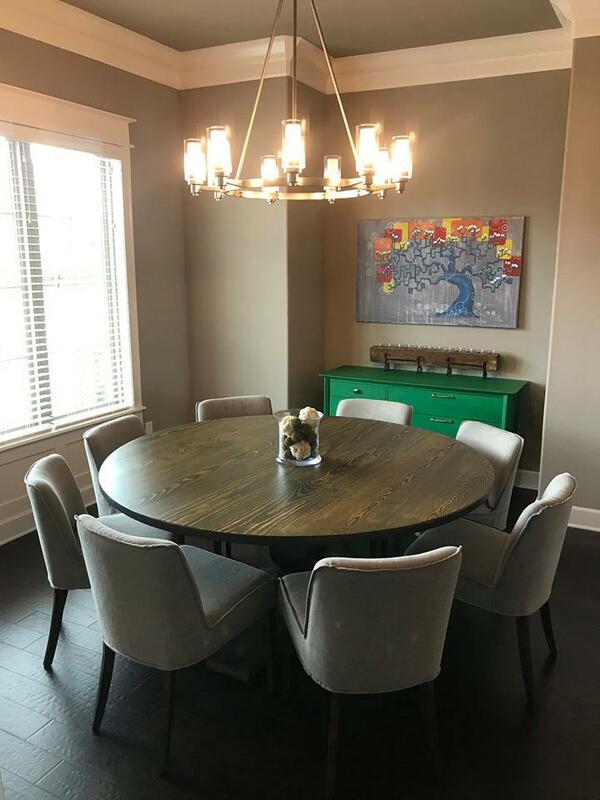 People searching for a new dining table usually ask how to choose between a traditional top and a jointed top. 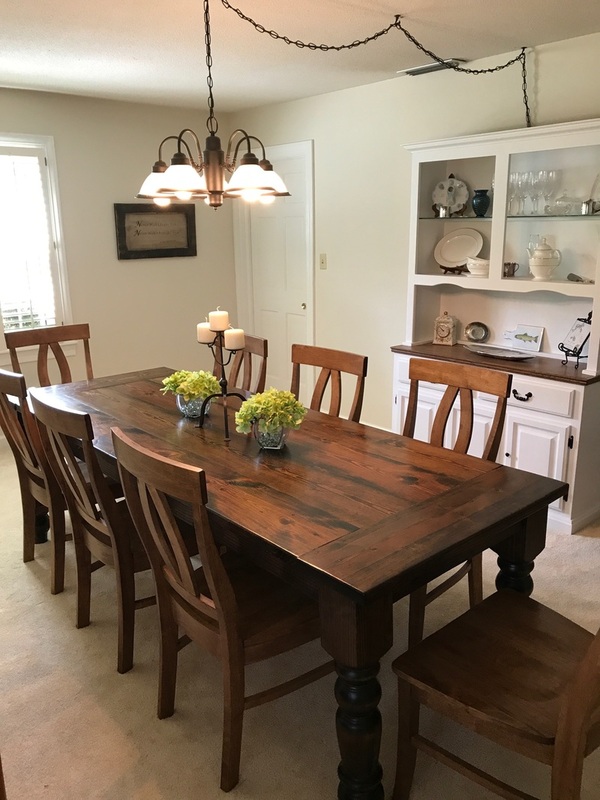 They also wonder what the difference is between a traditional boarded table top and jointed table top. 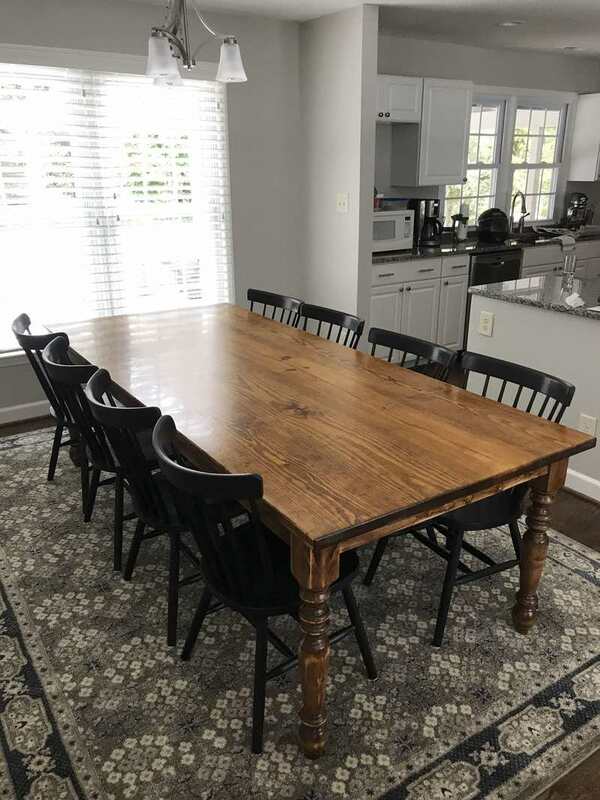 A Traditional, boarded table top features individual boards that run the full length of the table top. 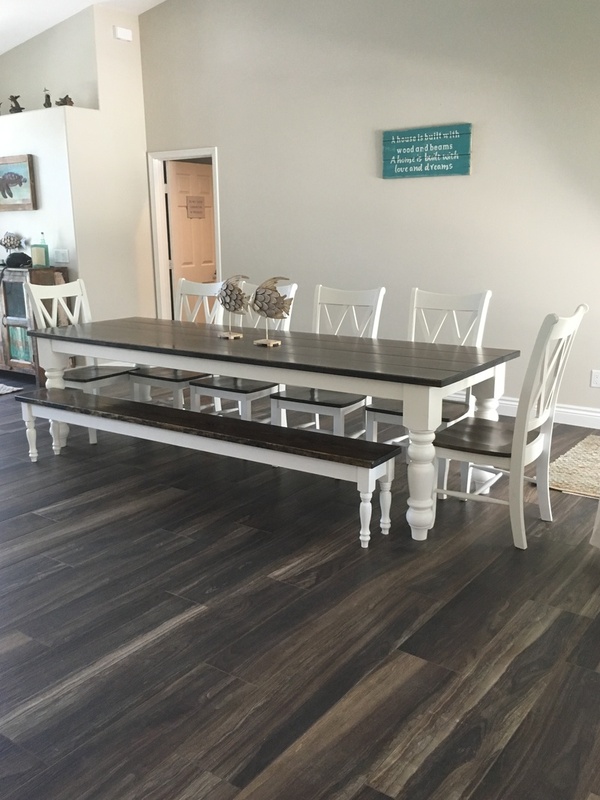 With the traditional top, you can see the physical space between each of the wood planks. 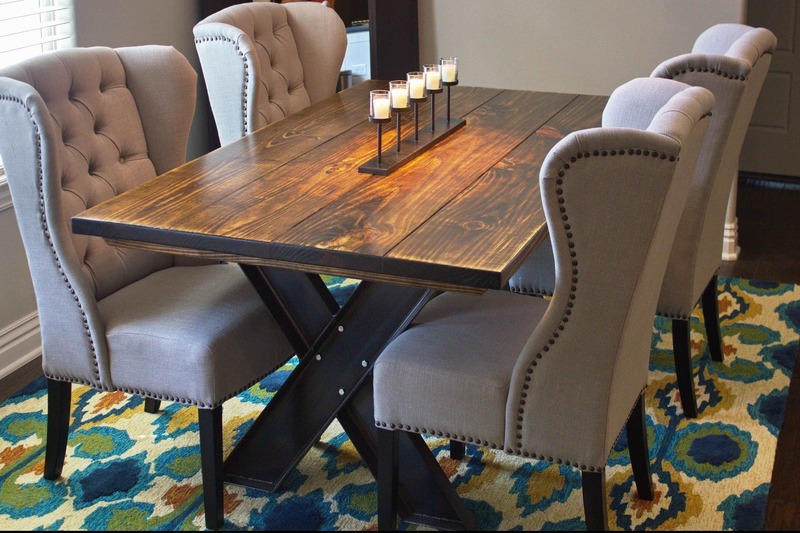 You can also customize your traditional top to feature endcaps, perpendicular boards at each end of the table top. 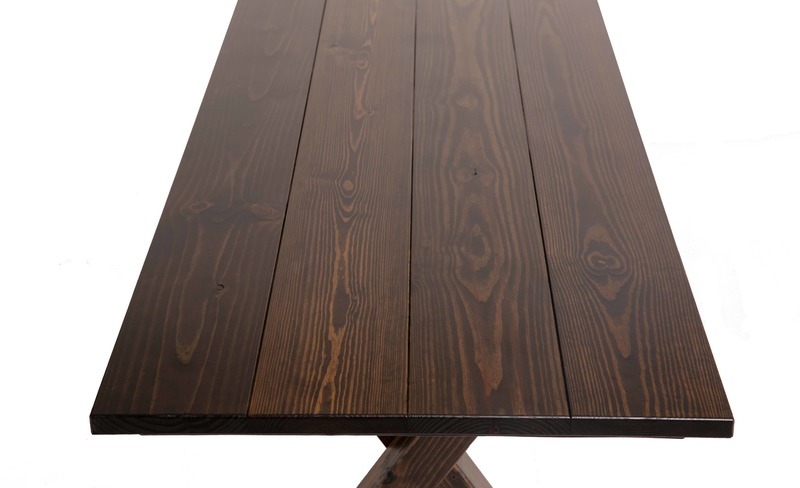 To create a Jointed top, individual boards are jointed together to create a solid table top. There are not grooves between each board of a jointed table top, but you still have the character of beautiful wood grain and unique knots. Below are some examples of each style to help you make the best choice! We do not offer endcaps on tables with jointed tops. 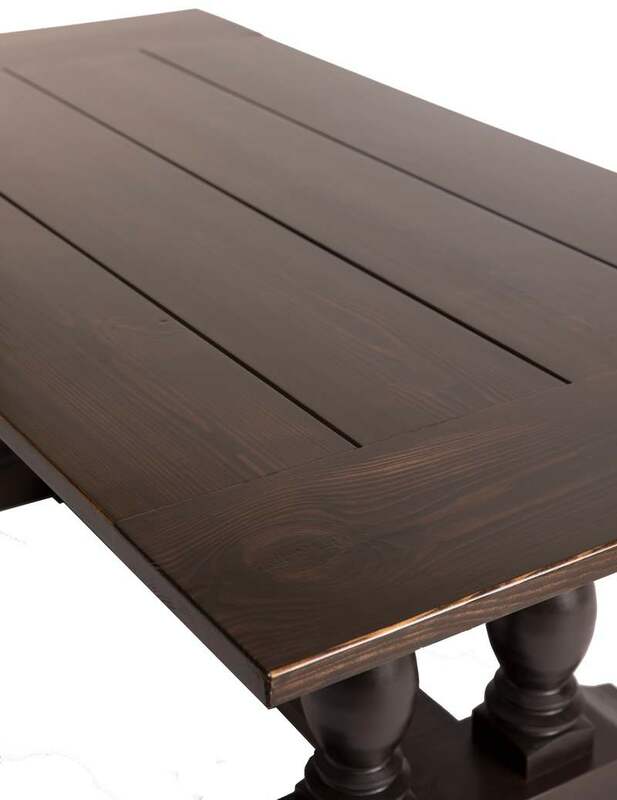 Jointed table tops built with end aps will have a slight separation and a lip as the wood expands and contracts. Please note that this is normal movement and is not considered defective or out of the ordinary in any way. 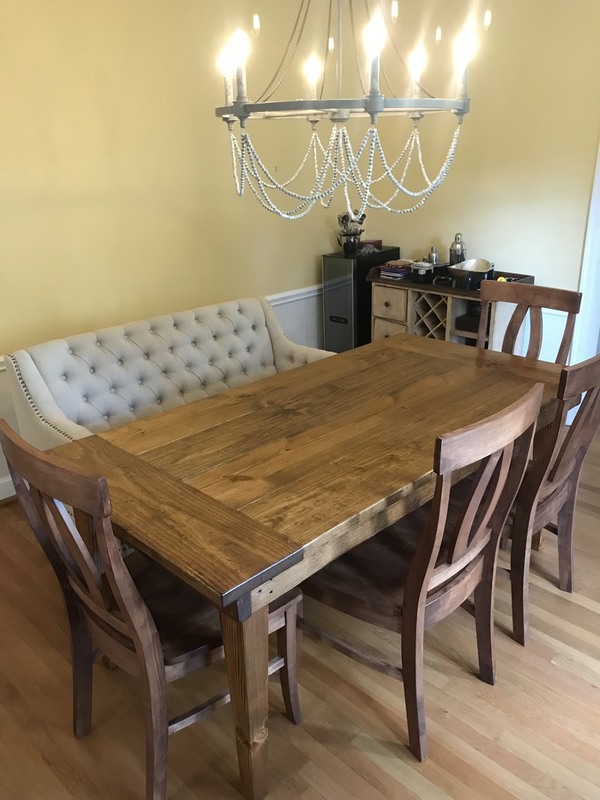 *James+James builds custom tables to fit your needs. The tables pictured here are just examples of what we are able to do. 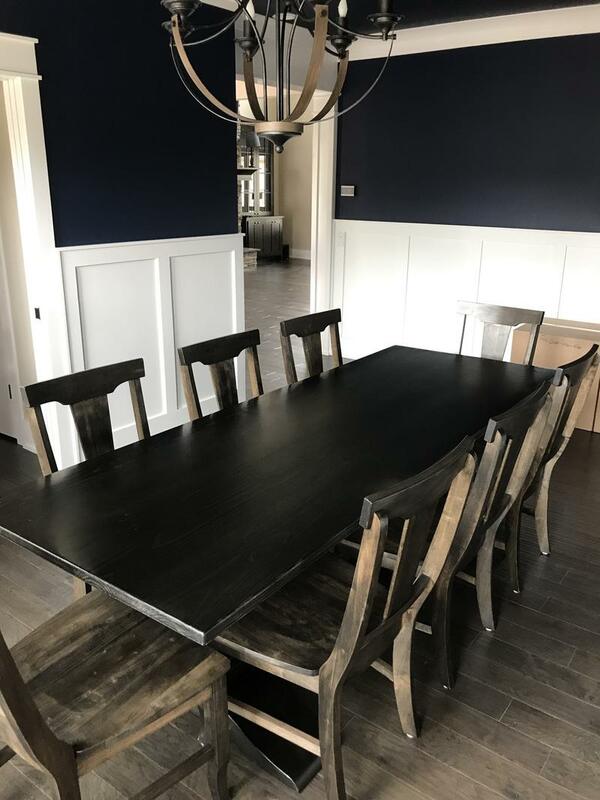 Should you have any questions or need a custom table for your space, please do not hesitate to email us at james@carpenterjames.com or give us a call at 479-633-7557 to speak with one of our design consultants to determine what size or shape table will best fit your needs.